Imagine if Frank Herbert’s “Dune” had been adapted not by David Lynch but instead by the Mummers. 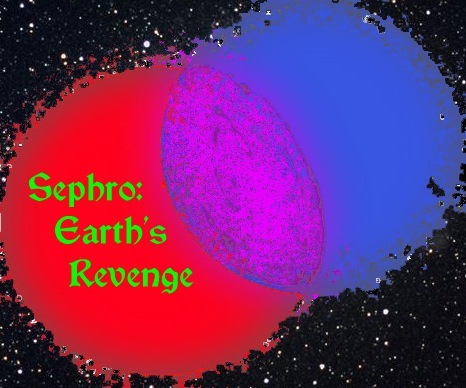 That’s not too far off from what we get with SEPHRO: EARTH’S REVENGE. 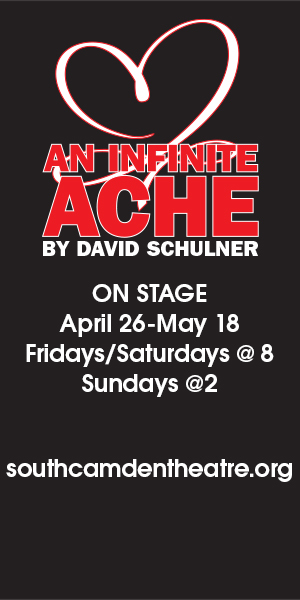 It’s the fourth installment of an operatic cycle by Fantasy Weavers, a local company that develops “original opera for children and adults.” While appropriate for all ages, this show isn’t really for the under-eight set. It’s a space opera in more ways than one, and unless your youngest are extremely into music (or DS9 fanfic) they’ll likely have trouble paying attention to the complicated plot. Actually, even grown-ups should familiarize themselves with the program first, to read a slightly overwhelming synopsis of every scene. There’s a lot of backstory this far into the cycle. Don’t worry too much about that, though—as an opera, this show is heavy on the exposition (and at least the exposition is in English!) And lest this review makes the show sound silly, I’ll say this—the singing is no joke. [The Rotunda, 4014 Walnut St.] September 6-10, 2014; http://fringearts.com/event/sephro-earths-revenge-3/. I agree that the singing is no joke. Almost the entire cast is comprised of professional opera singers who’ve sung with the Delaware Valley Opera Company (DVOC) and other such groups in the area and elsewhere in the world. I wish I could sing like them! There is no way one can compare this to the Mummers, as they are a completely different art form. However, I do agree with Gina that the singing is DEFINITELY no joke! These people are some who have sung at baseball games as well as Carnegie Hall and the like. It was a truly spectacular performance by all. Regarding the “complicated plot,” I believe children under 8 would have gotten it, especially since, as you mentioned, the opera was sung in English. There are many “complicated plots” in video games that children play, as well as in the movies today. Some plots are overshadowed by special effects, in fact. Yet, children can’t get enough of them. All in all, I found the mixture of science fiction and opera fascinating and very appropriate for the Fringe Festival. And the music was amazing! Veritas, I don’t know if your “Disclaimers” are meant to imply that either Gina or myself are being biased, but let me remind you that neither of us disagreed with the reviewer about the singing. For my own part, I am grateful to him for acknowledging the skills of such wonderful artists. I also stand by what I said about the Mummers. This opera and anything the Mummers do, are two totally different things. I do admire and respect the Mummers. Speaking as a composer, their music is quite well done. Speaking as a composer also, I know the difference between my music and that of the Mummers. There is a great difference. I would like to thank Mr. Farley for his time in coming to the opera and submitting his review. As he has done, so have I submitted my own views, and whether I created the opera and books or not, that is still my right. It is everyone’s right to contribute their thoughts. Thank you, Veritas, for your contribution, even if you have not submitted your own view on the opera.